After April 1st Full Payment is required. Horseback riding is a very physical outdoor recreational activity. 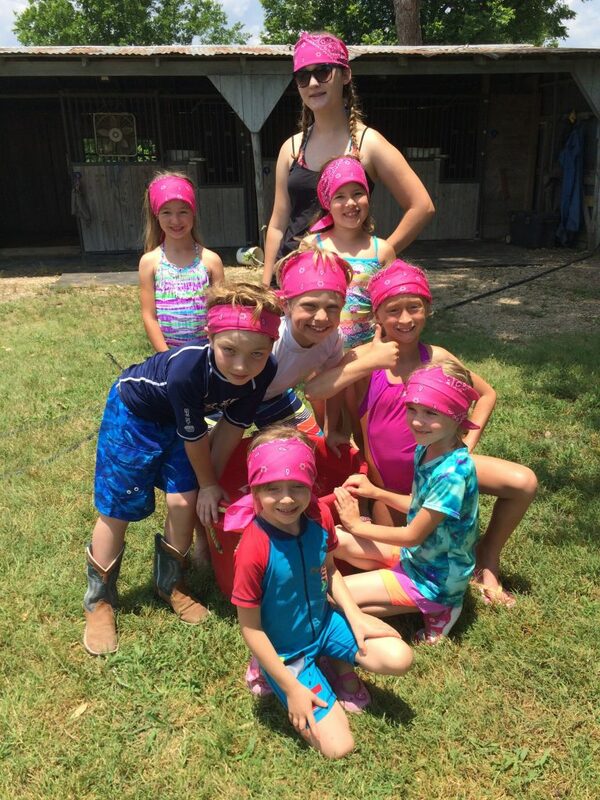 For camper safety and the safety of others, participants must meet certain physical requirements to attend camp at M&M Ranch. Our camp is designed for our campers to ride in groups. Campers must be in good physical shape and not have any conditions that may affect their ability to participate in all camp activities. These include but are not limited to items such as arthritis, excessive weight, back or neck pain, decreased motor skills or other physical issues that may contribute to a difficulty balancing, staying seated, holding the reins or controlling a horse. 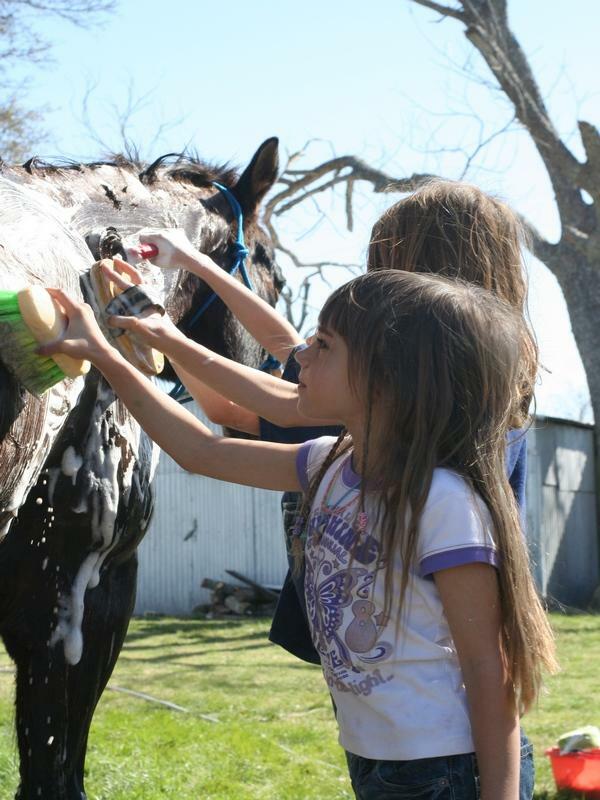 Campers must be able to mount and dismount a horse without assistance (Instructors will help younger campers). 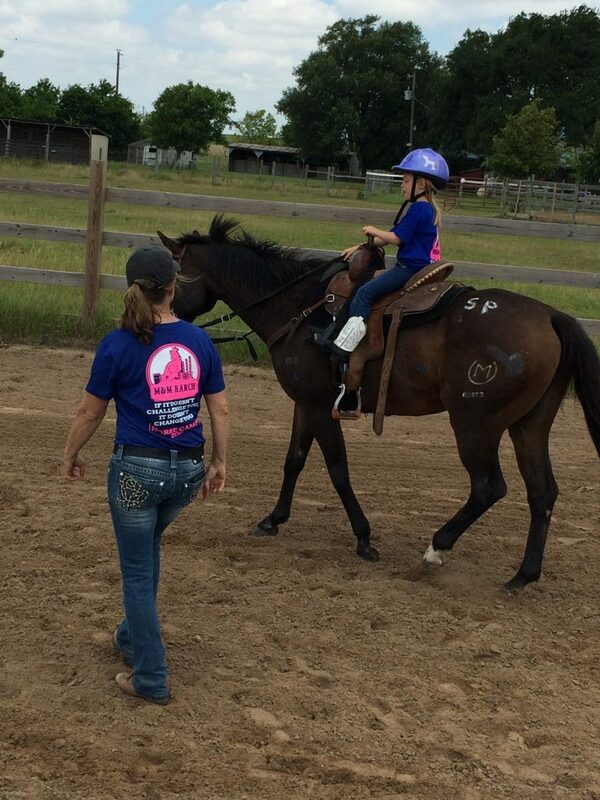 Campers must be able to meet the rigors of riding, including dismounting the horse without stirrups. 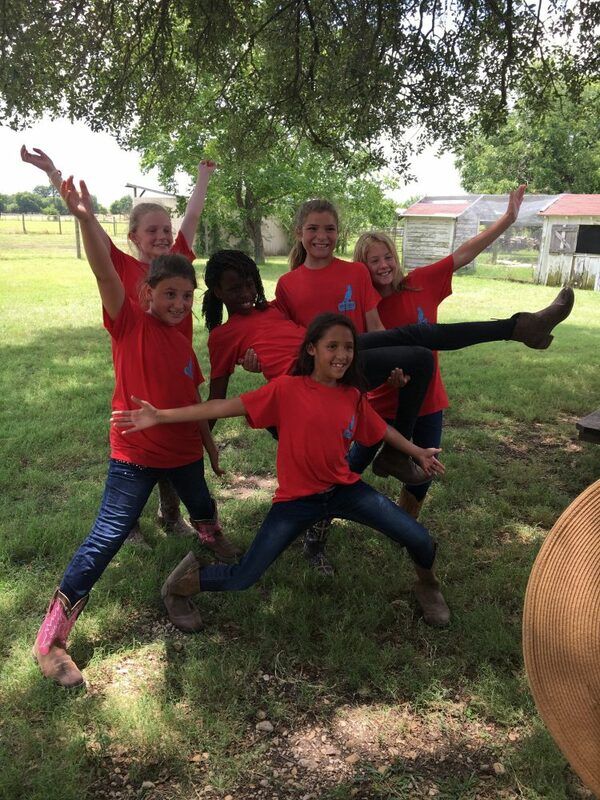 Campers must have the ability to independently remain seated and balanced on a horse in motion while simultaneously directing a horse's travel and speed for at least 1-2 hours. Campers must be able to withstand summer exposure to the outdoors, including hot, cold and or wet weather for a period of at least 2 hours. For the safety of all campers, we do not offer services for special needs riders. We recommend that you visit R.O.C.K. - Ride On Center for Kids which specializes in special needs riders. We are not set up to have one on one instruction with riders who have special physical or emotional limitations. I have read and understand the Important Safety Information on attending summer camp at M&M Ranch. If you like additional shirts for your child or others please select shirt you like to purchase. Camp shirt is included with your enrollment. Pick which days you will need pick up your child by 3pm. Pick which days you will need drop your child off early. If you are bringing your own horse, boarding fee (non-refundable) must be paid in order for registration to be complete and hold your spot. If you decide the horse you had planned to bring does not work out for some reason, it will be your responsibility to find another horse. If a horse change needs to occur please email at least 4 weeks prior, so we can send you the form for the updated change. List of Requirements: broke, well behave, healthy, must be in condition to handle full week of camp. Current on feet care & recent exam for any pain. I have read and understand requirement bringing my own horse. If cancellation is made before April 1st by email. Conditions apply: Must be in writing confirmed by camp director, if deposit was made ($75 refunded) if full payment was made ($150 refunded). If you have an emergency and need to cancel your child’s camp after April 1st, please contact the camp director by email. We do not offer refunds for any reason. If you have an emergency and need to cancel your child’s camp session after April 1st, please email us. We do not offer refunds for any reason. Your enrollment for camp will not be complete until we receive all required forms. I have read and understand the Payment, Cancellation, Refund Policy on attending summer camp at M&M Ranch. The deposit is non-refundable. Balance due by April 14th. If you have a balance due after the posted deadline the late fee of $60 for Day camps will be applied. Submitting your enrollment may take a few moments. Don't refresh or close the page after you make your payment. After you make the payment it will take you to our Campers Check List Page. We are located near Georgetown Texas and serve the following areas Austin, Round Rock, Pflugerville, Belton, Taylor, Hutto, & Florence.